Three studies investigated the effects of dysphoric rumination on concentration during 3 academic tasks—reading a passage from the GRE (Study 1), watching a videotaped lecture (Study 2), and proofreading written text (Study 3). Before performing these tasks, dysphoric and nondysphoric students were induced either to ruminate about themselves or to distract themselves by focusing on neutral images (all three studies) or by planning an event (Study 1). The results supported our hypothesis that dysphoric rumination, relative to distraction, would impair students' concentration. In all 3 studies, dysphoric ruminators reported difficulty concentrating, as well as interfering thoughts, during the relevant academic tasks. Furthermore, dysphoric ruminators were slower than dysphoric distractors in completing the tasks—specifically, reading the GRE passage (Study 1) and answering lecture comprehension questions (Study 2). 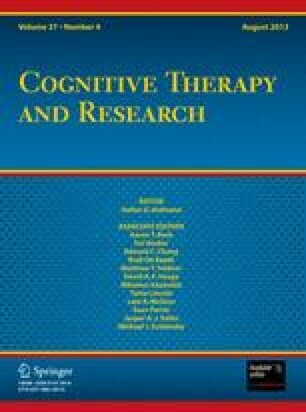 In addition, dysphoric participants who ruminated showed impaired reading strategies (Study 1), reduced comprehension of academic material (Study 2), and poor proofreading performance (Study 3). These findings suggest that, in addition to its documented adverse effects on mood, thinking, and problem-solving, self-focused rumination interferes with instrumental behavior. Implications for social relationships and job performance are discussed.